axiom: It's probably fair to say that you’ve had a fairly decent innings in the sculpting game! How did you start off sculpting figures and begin in the industry? axiom: It is your work for Citadel in the 1980s that probably most people are aware of. Could you tell us how you came to work for Citadel? BN: So I made figures for WPS for a very short period then disappeared off to art school. When I finished I started a company (Naismith Design) with a couple of friends from WPS – we made quite a lot of 28 and 15mm historical ranges and I also made hundreds of naval models for Navwar – who were also in on the Naismith Design enterprise. After I think about three or four years I ended up chatting to Bryan Ansell and the result was that I started work for Citadel in 1981 I think. 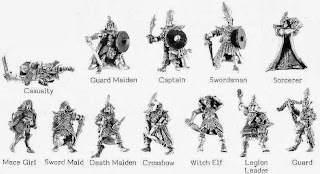 axiom: You contributed to a significant number of Citadel fantasy ranges; Fighter, the licensed Advanced Dungeons & Dragons range (I counted over 50 figures in that range alone) and the iconic Fantasy Dark Elves. Could you tell us a little bit about your contributions to these ranges and how you got a reputation for sculpting evil Elves? BN: Well in those days making model soldiers was a very fast and furious game. 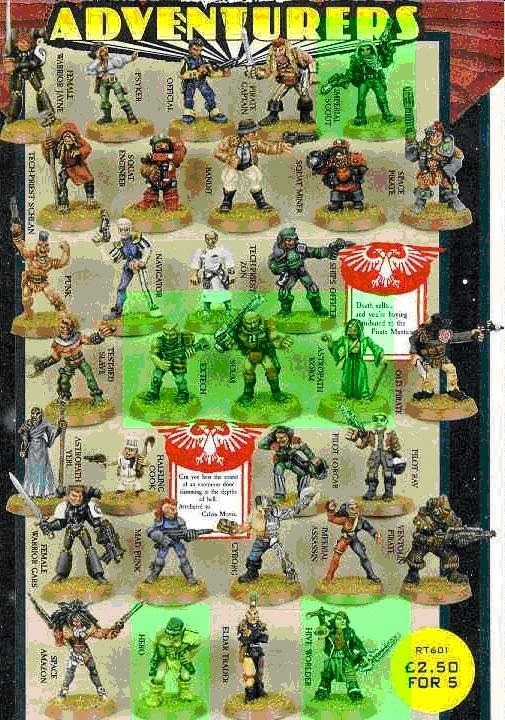 Citadel would publish several codes of miniatures per month – sometimes 150+ masters. Even with a team of sculptors that was quite hard to achieve. The main codes like fighters, wizards etc was a staple and we would usually end up specialising. I had a dabble at most of them. Every now and then one sculptors style would ‘fit’ with a specific code – the dark elves seemed to do that for me and I made quite a few. I still have an army of them if anyone wants to make me an offer! The dark elf look was derived from art by John Blanche and Tony Ackland for the most part but once the look was set it was easy to go forward without it. On the other ranges – I was for a time in charge of the other sculptors (apologies guys!) and during this time I was responsible for making sure that Bryan Ansell had as many of the codes that he needed each month to satisfy the sales teams. The upshot of this was that I had to generate extra models from existing used masters (conversions) and the codes show that – ie same body/different head etc etc. 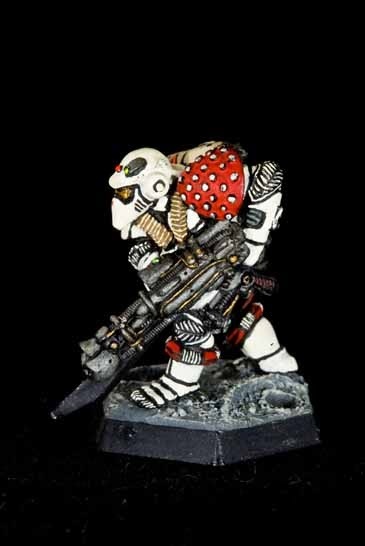 axiom: I think many people will consider your sculpting on the early Warhammer 40,000 ranges as being heavily influential in establishing the look and feel of the universe. Which of those first 15 figures did you sculpt? Bob kindly annotated the catalogue page; the shaded figures are his! 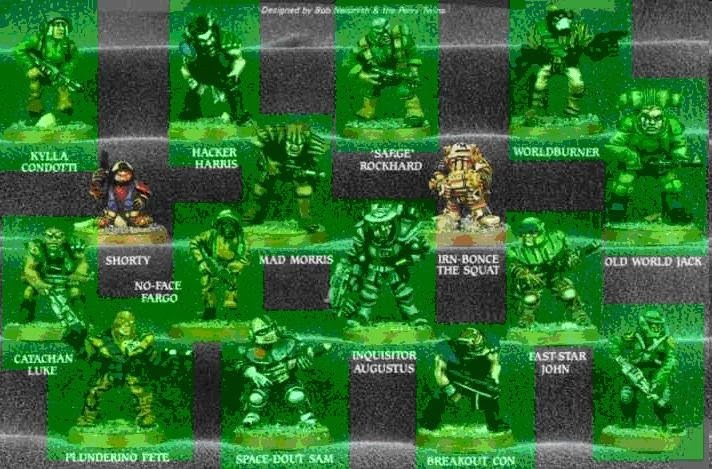 axiom: Way back in 1987 you had a hand in sculpting some of the earliest Space Marines. Did you have any inkling then of the juggernaught you were launching onto the world? BN: Well I remember that everybody was pleased when I made the first limited edition fig. We knew that Rogue Trader was on its way and all the designers had a chance to input on the design of the game and its world – a very enjoyable time. 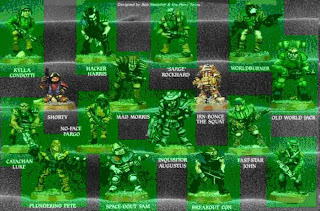 axiom: You also sculpted many of the ever popular Warhammer 40,000 Mercenaries, Adventurers and Pirates. These have become iconic for their individual and characterful sculpts - can you tell us about the design process for these ranges? BN: The idea here was that we knew the general direction of the Rogue Trader universe and this new universe had to be populated. At the time there were precious few sci fi miniatures ranges that had the breadth and deptrh that we were aiming for – so for all of us it was artistically very rewarding. We had design freedoms that a larger company might have struggled with. I remember making a marine dreadnought model on spec and showing it to Bryan Ansell. I’m not sure how pleased he was – we did use it until Jes Goodwin made his own version. Which do you prefer? The Bob Naismith original (L) or Jes Goodwin's later incarnation (R)? axiom: Some of the best sculptors in the business (the likes of Jes Goodwin, the Perrys, Kev Adams, Bob Olley and Nick Bibby) were also sculpting for Citadel at the time. How was it working in that environment Citadel created? BN: Fantastic! (although Bob Olley didn’t work in the studio itself while I was there at any rate – he worked from home). We had a lot of fun there in Low Pavement. I remember Jes getting upset with me because I wouldn’t stop singing (I still sing…) and how poor Nick Bibby had developed terrible allergies to milliput and greenstuff which thankfully for us all pushed him into using Fimo – those creatures that he made were just stunning even then! The twins also worked away from the studio but were always happy to come in and work on joint projects – good times. Proof that Bob sings, from Mantic Games! axiom: You were responsible for the development of Citadel’s early plastic sets, including the Warhammer Regiments, Mighty Fortress and Epic scale sets (in fact there was even an article in an ancient White Dwarf showing a prototype plastic Space Elf). 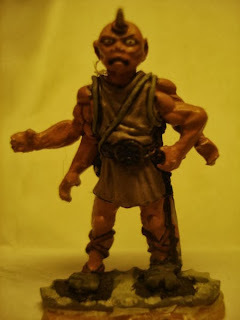 How were those early trials of plastics and what happened to that Space Elf prototype? BN: Well the early plastic work was a steep learning curve. We were helped in this by the inestimable Mr John Thornthwaite who calmly would lead us through the ins and outs of this demanding production method. Plastic work had begun before I came along (Psychostyrene dwarves and the Fighting Fantasy ranges) but I showed quite a bit of interest in the process and ended up working closely on all the plastic work for GW until about 1989. 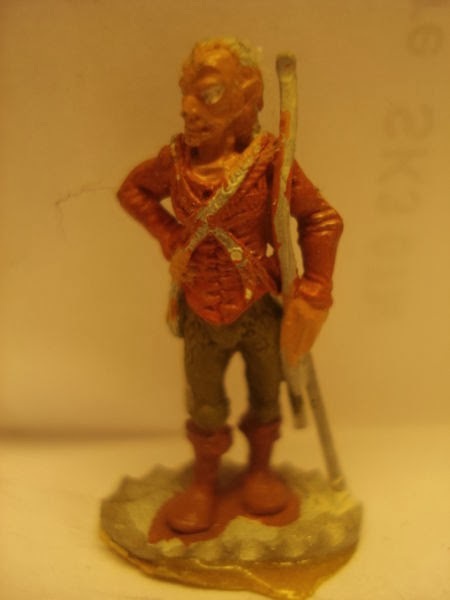 The space elf was a new untried method for moulding that was being developed by myself and John. Unfortunately it required funding that probably was needed elsewhere in the company and the research slowed down and stopped. Fantastic results were achieved early on though! axiom: You left Citadel in 1990(?) and developed your own sci-fi range (Cobalt), as well as freelancing for range of other companies since. Could you tell us a little bit about that decision and work post-Citadel? BN: Well I had been committed to GW for a few years and was pleased to see it grow. As it grew I could see that my opportunities to be involved across the board were becoming fewer. I have always considered myself as a starter and not a finisher. I am in awe of GW and all it has done since I left. Work post Citadel has been rich and varied. As a freelance designer I am always being approached by customers old and new with exciting new projects. I enjoy hugely working like this – although its not the most secure form of employment I am happy working this way – for the future who knows? One thing is that because of commercial confidentiality and working for several different clients at once I have to keep my mouth closed regarding recent or current work so I cant say anything about that – shame really but that’s the way it is! axiom: Finally, from your time with Citadel, do you have one favourite sculpt which really stands out from the rest? BN: My favourite? Hmm don’t really have a favourite as such – I thought that some of the epic stuff was good and the Thrud fig was fun – heck it was all my favourite! The Goodwin dreadnought is a classic design and I love that it has that appropriate sarcophagus look but I do prefer the older version. Nice interview, thanks for posting it. The early Naismith Designs pics were mine off the WIKI. Great figures and still looking to fill the gaps! Very cool interview, and well done! Love it! 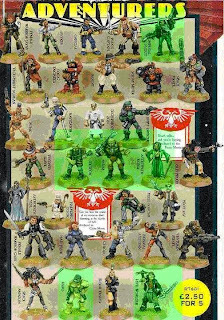 But I wonder how much of the drive to have releases drove the "conversion" releases as much as Citadel used to do. 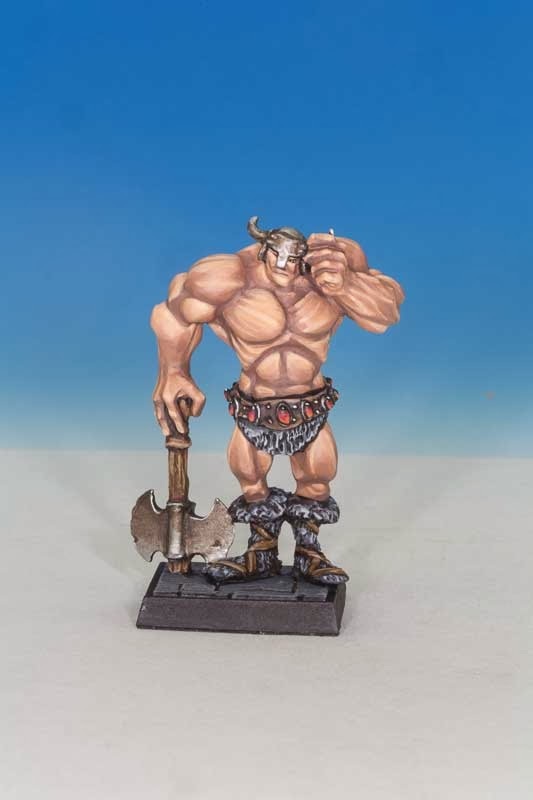 I always thought it was great to get different versions, as I loved the variety back then (one of the fails with all of the plastic parts nowadays - they are all just too much of the same- which drove me searching for Oldhammer before it existed!). So I wonder how much was the sculptors being creative and how much was driven by demands to get x number of releases done....Thanks for the great interview Axiom! Great Article. Orlygg sent me over here. Glad you like the interview guys! 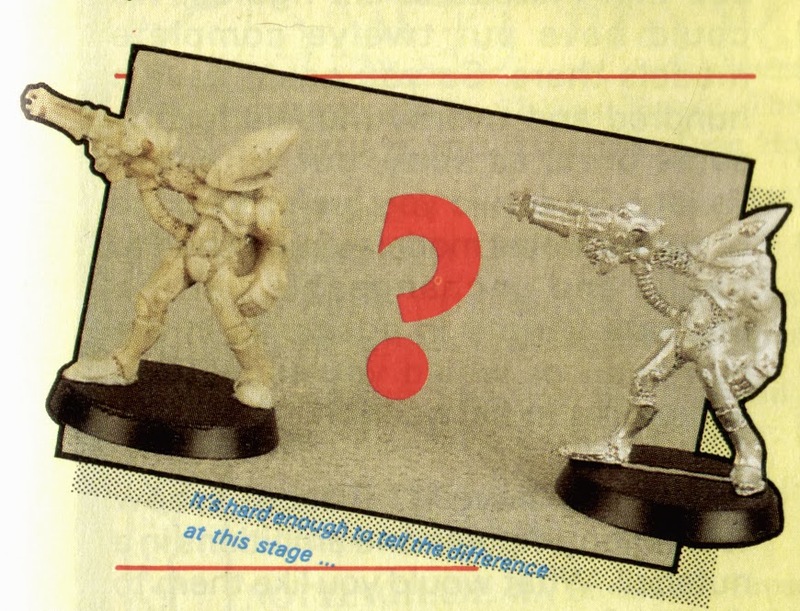 I also love that variation that came with the conversion of models - makes for a much more interesting set of figures than the identikit versions you get nowadays! How can I get my hands on that female space elf trader sculpt??? Bob Naismith is the best! I own ever miniature he has sculpted listed above. I would love to get my hands on one of those female Eldar Traders, to go with my set. Would you consider selling it? I would pay a handsome amount for one :) My contact information is below, thanks! I recently began working on a figure sculpted by Mr. Naismith and have been trying to find a way to contact him in order for some clarity. In my search I stumbled across this great interview, sadly the website listed above doesn't seem to be operational. Do you know how I might be able to get in touch with him? Thank you for any and all help. I would like to ask Bob Naismith more about his involvement with HeroQuest miniatures (UK and US) from MB. You may pass him my address tocoking at gmail dot com. I had always thought that the 'prototype plastic' space elf above was a good, old-fashioned metal space elf painted beige, but looking really closely, it really is different. The cable is differently proportioned, the helmet is more bulky. It's very close, but it's slightly different, and in a way in which you'd expect plastic to be different. What a revelation!